Home School Zone BRC NEWS: District Assessment Survey test for all 8th std students!!! 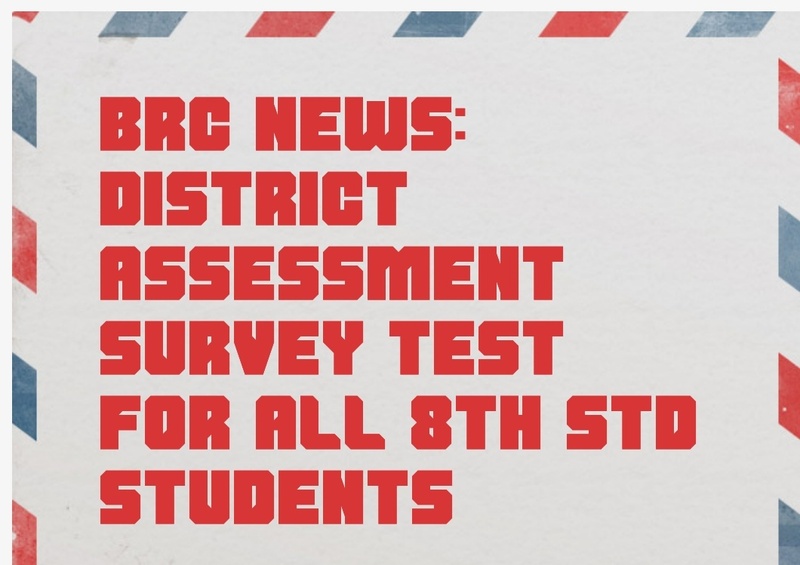 BRC NEWS: District Assessment Survey test for all 8th std students!!! District Assessment Survey test for all 8th std students in Math and Science is to be conducted as per Respected District Collector’s Initiative on 29.6.18. Math from 10-11.30 am Science 1.30-3.00 pm. Separate question papers for Tamil medium and English medium students. Question papers for High and Hr Sec Schools will be sent by mail on 28th afternoon . Each school must make copies for each of their students. For middle schools mail will be sent to the blocks. Blocks must give one copy of em and tm qp to each school. Middle schools must make copies for each student. Kindly be prepared. Proceeding follows. Previous articleஆசிரியர்களுக்கு CRC மற்றும் சனி கிழமை வேலைநாள் பட்டியல்!!! Next articleமாண்புமிகு முதலமைச்சர் அவர்களின் அறிவிப்பு – பள்ளிகள் மற்றும் அலுவலகங்களில் PLASTIC பொருட்களுக்கு தடை – இயக்குனர் உத்தரவு!!! Primary & Upper Primary : 2nd Term Exam Timetable (Tentative)!! !